The first time I went to Puglia was in 1983. I have gone back a number of times because of the wine, food and the unique culture. 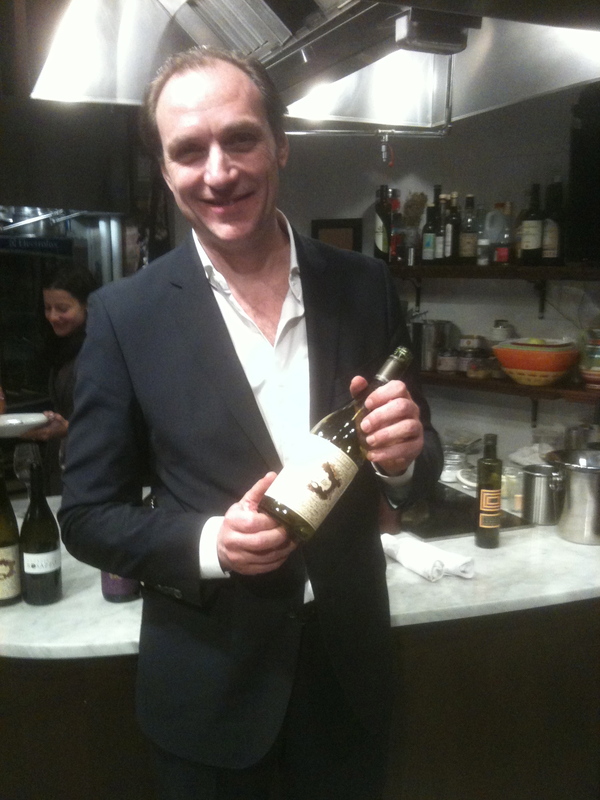 For ten years I was the sommelier/wine director of I Trulli restaurant in NYC. Trulli are the traditional cone shaped houses in Puglia, so I really got to know the wine and the food and have always enjoyed it. A few months ago, Nicola Campanile, organizer of Radici del Sud 2016 in Puglia, invited me to attend the weeklong wine tasting and judging of the wines of Southern Italy. When we arrived at the hotel, the other attendees and I, from 13 different countries, were divided into two groups: buyers and press. The buyers stayed in the hotel and tasted wine while the press spent two days and nights on the road. Our guide and translator was Ole Udsen. The way he was greeted by the producers and others that we met showed the high regard in which he was held, so I gave him the name “Mr. Puglia.” His knowledge of the wines and the region in general, was of the highest level. One of our first stops was tasting wine with the Association Nationale Le Donna Del Vino Delegazione Puglia. The president of the organization is Marianna Cardone. The Women in Wine organized a tasting of 17 producers. Each producer showed one wine. The format reminded me of musical chairs: I sat with a producer, tasted the wine and we talked. Then came an announcement to change places. This was done 17 times. It was very informative and enabled me to learn a lot in a short time. There was even a type of wine I had never tasted before, the Tre Tomoli Rosa 2015 from Vignaflora, a Rosato made from the Susmaniello grape. We also visited several wineries. At the Garofano winery, the tasting was held outside. Wine made from the Negroamaro grape can be 100% Negroamaro or blended with other grapes as in the case of Copertino, Salice Salentino and Brindisi Rosso, or made into a rose or a white wine. I became very fond of the Negroamaro in all its forms on this trip. We visited the town of Gallipoli on the southern tip of Puglia by the sea. At Cantina Coppola 1489 we tasted white wines made from the Negroamaro grape from 2015 back to 2009. The 2012 was the only vintage that had been aged in barriques for about six months. The wines have a simple elegance, fruitiness with good minerality and a touch of the sea. The only wine that did not have these aromas and flavors, reflecting the land and the sea was the 2012. At a tasting in the Castle in Gallipoli, we played musical chairs again but here there was enough time to speak to the producer and they had more than one wine. One of the best wines I tasted made from 100% Negroamaro was the Vecchie Vigna Alberelli 1947 from L’Astore Masseria presented by the owner Paolo Benegiamo. It is a wine which makes one stop and take notice. Copertino Rosso DOC Riserva 2008, Cupertinum-Antica Cantina Del Salento 1935. 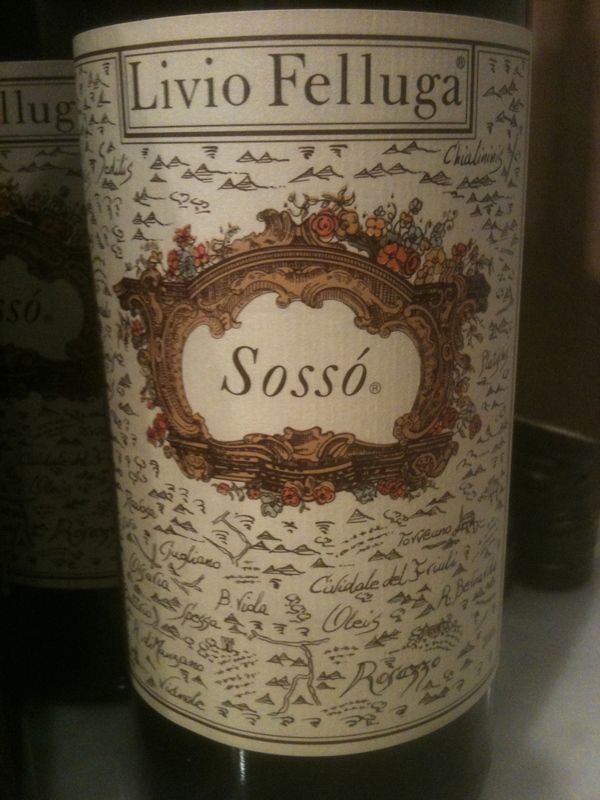 I sold this wine at I Trulli and always liked it. It is a great value for the price and was later picked as one of the top wines by the press. Next time a Ciro tasting, a Fiano Minutolo tasting, the blind tasting completion and the winners. A few weeks ago Michele made ricotta gnocchi with tomato-butter sauce from her new book “The Italian Vegetable Cookbook” for a dinner with friends. One of the guests said that she had tried making potato gnocchi but they never turned out right. 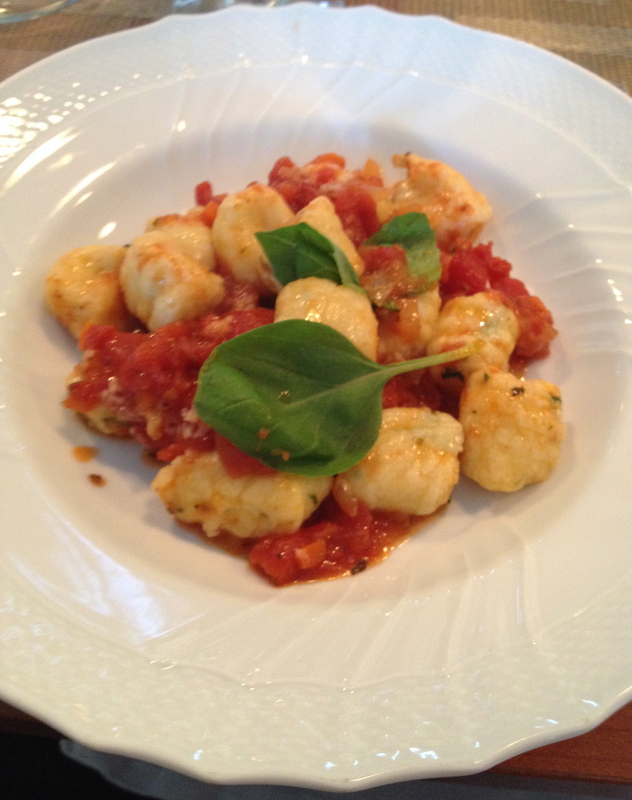 Michele said that ricotta gnocchi were very easy to make and she would be happy to show her. Last Saturday, our friends returned and brought prosciutto and melon for an antipasto and three bottles of wine from the Alto Adige to see which one matched best with the gnocchi. -The wine and the food may be good on their own but in combination they do not work and leave a bad taste in your mouth. -The next is when the wine and food do not combine but each keeps its own individual character. -The last is when the wine and food combine to give you the perfect combination. Südtirol Eisacktaler Kerner 100% Kerner. Abbazia Di Novacella. The vineyards are 600-700meters, the soil is gravelly morainal deposits and the exposure is south-southwest. The training system is guyot, there are 6,000 to 7,000 vines per hectare and the harvest takes place in October. Fermentation takes place in stainless steel tanks at 20°C. Only natural yeast is used and the wine remains in stainless steel tanks for 6 months before it is bottled. This is an aromatic wine with hints of apple and peach, ripe and full with crisp acidity. 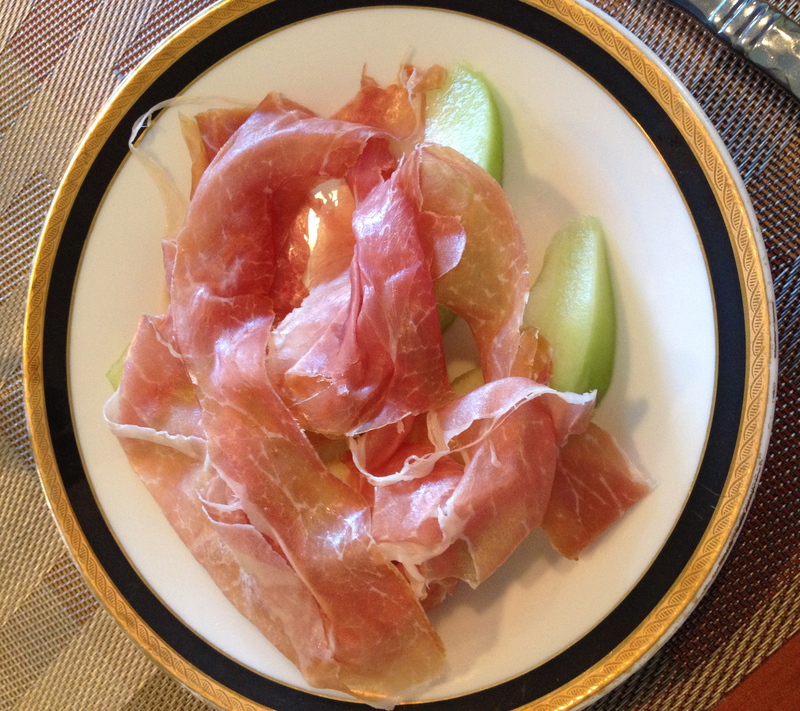 We drank this wine with the prosciutto and melon, and it was a perfect combination. 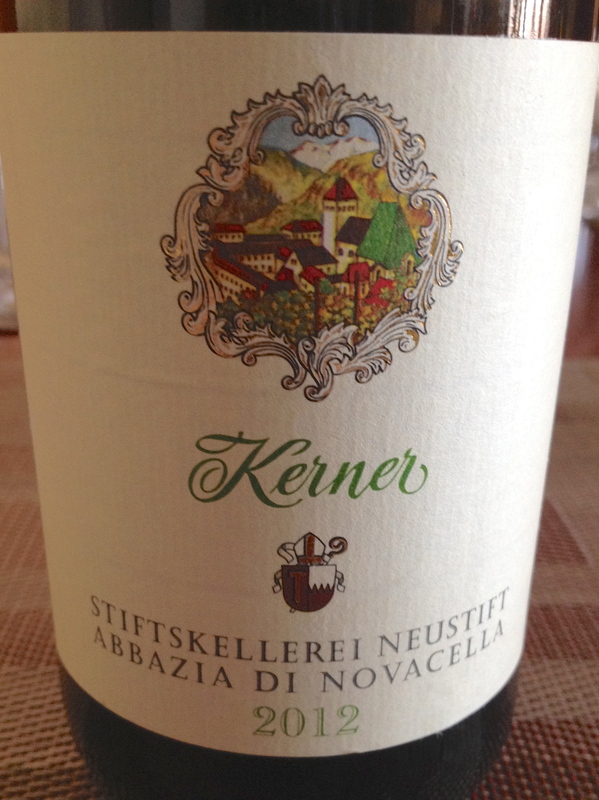 Later, we tried the Kerner with the gnocchi. It was good, but the flavors did not marry. The tastes remained separate. 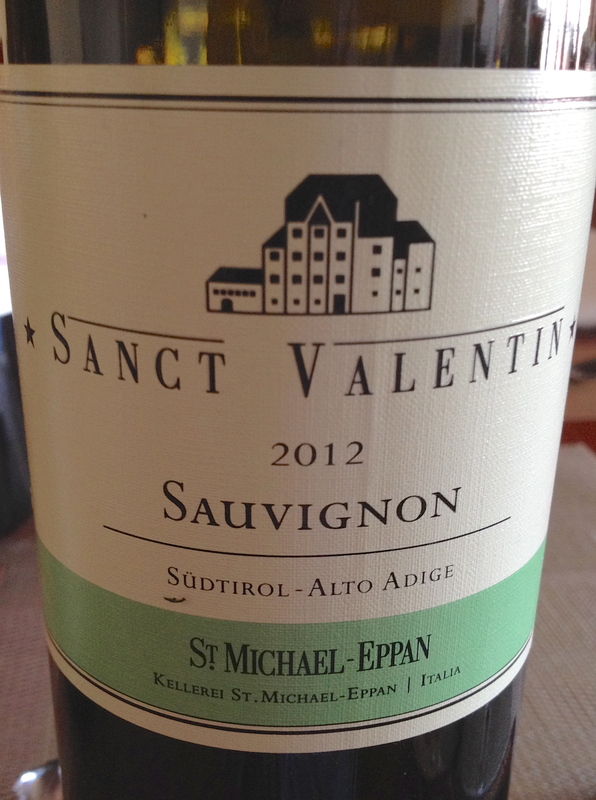 Alto Adige Sauvignon Sanct Valentin 2012 100% Sauvignon Blanc St. Michael-Eppan. 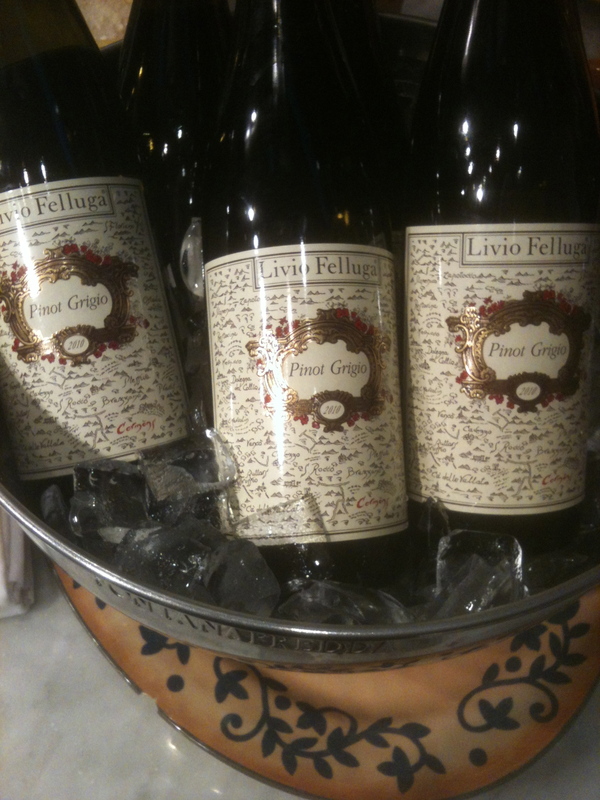 The grapes come from different vineyards in Appiano Monte all at 400 to 600 meters and the vines are 10 to 18 years old. There is long maceration at low temperatures in steel tanks and then 12% of the wine is aged and refined in big and small oak casks. This is sauvignon blanc from Italy with all the characteristics of the best is sauvignon blanc with a hint of figs and light spice. This is one of Michele’s favorite producers of white wine and I have to agree with her. 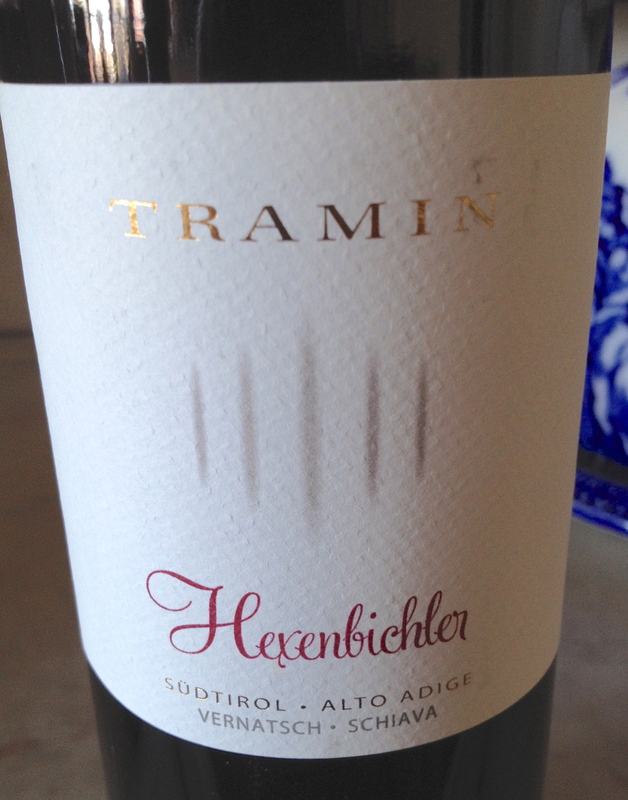 Hexenbichler Schiava Alto Adige DOC 2012 100% Schiava Tramin The grapes come from the 6 acre Hexenbichler vineyard. The soil is clay-loam and pebbles, the training system is Pergola, the elevation is 990 to 1,320 feet and there is an eastern exposure. Harvest takes place in September. Fermentation is in stainless steel tanks for 10 days and aging takes place for 6 months in 50 to 100 HL steel tank. Length of time before bottling is 6 months and 2 months in bottle before release. This is a light red wine with fresh fruit flavors and a nice finish finish and aftertaste. It was the perfect combination with the gnocchi, the light fruitiness of the blended perfectly with the delicate ricotta gnocchi and the tomato and butter sauce. 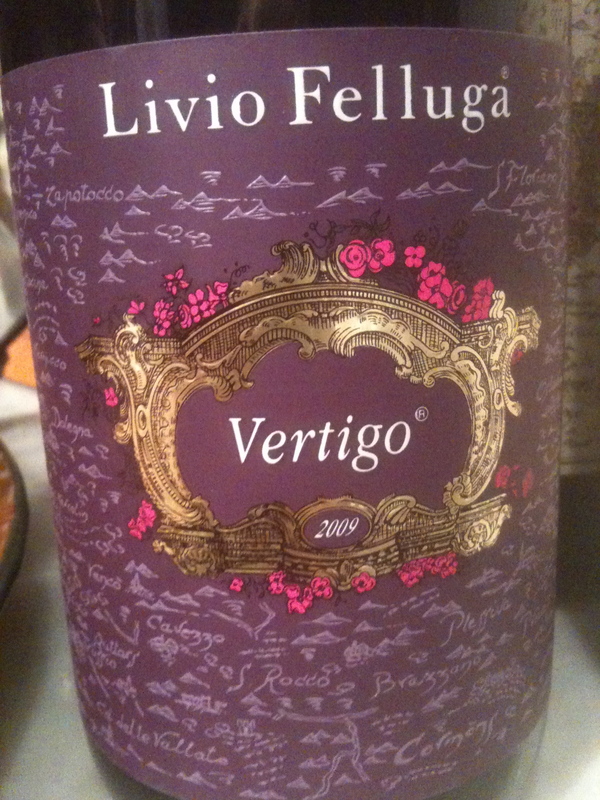 On our first visit to Friuli-Venezia- Giulia, Michele and I had the good fortune to stay at the Livio Felluga winery. We stayed in beautiful guesthouse in the middle of the vineyard. Every morning, a woman would arrive to make breakfast. Michele mentioned that she liked fresh fruit and from then on there was fresh fruit. The members of the Felluga family could not have been nicer. They helped us to plan an itinerary and wherever we went to dine, one or another of the members of the family would show up to see if we were all right. They did not get many visitors from America in those days. The highlight of the visit was meeting Livio Felluga who was 79 at the time. He invited us to take a tour of the vineyards in his car, which I believe was a Jeep. Michele sat in the front and I sat in the back. As I recall, he never went under 80 miles an hour as we travelled over hills and along dirt tracks. Whenever we hit a bump, I felt as if I was flying through the vineyards! All the time he was driving Livio talked about the vineyards and his wine. It was the most exciting vineyard tour I was ever on! Today Livio is close to 100 years old. 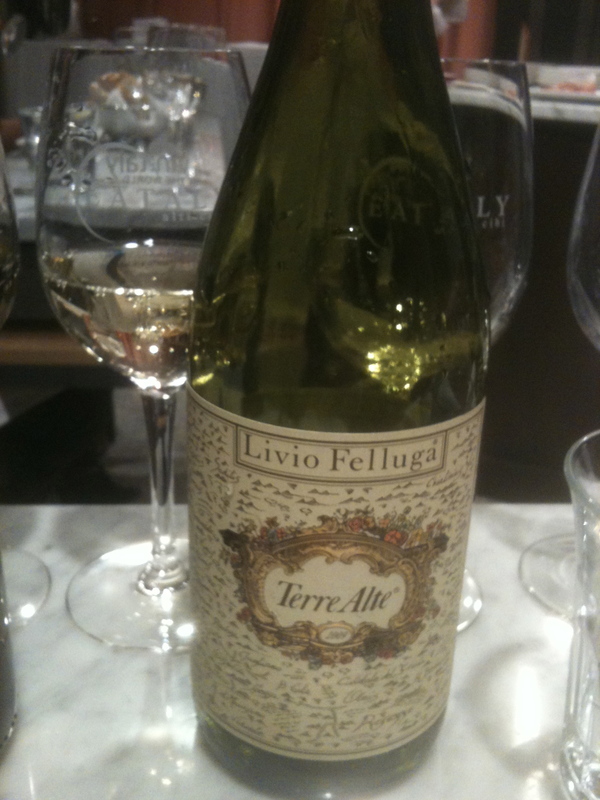 Over the years I have been a big fan of the wines of Livio Felluga and so, when I heard that his son Andrea Felluga was doing a tasting of their wines at Eataly, I just had to go. Andrea began by speaking about the history of Friuli-Venezia-Giulia and of his family. Andrea said that his father was born in 1914 when the area was part of the Austro- Hungarian Empire. He explained how the shifting borders after WWI and WWII caused many problems. His family lost everything after WWII but Livio was able to remain on the Italian side of the border and start his winery. Both of these wines have the now famous “Map Label.” Andrea said that when they first produced wine Friuli-Venezia-Giulia was not a region that was well know and his father put the map of the area on the bottle so every one would know where the wine came from. 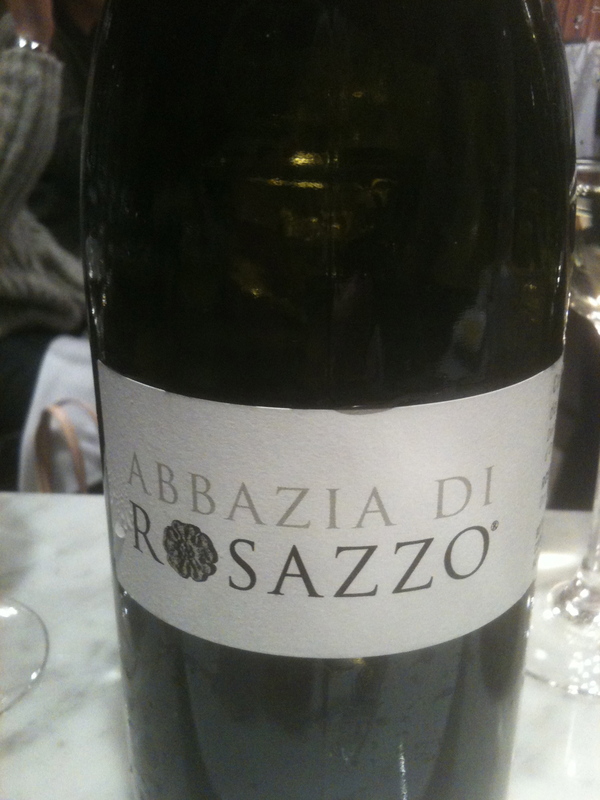 Abbazia Di Rosazzo Colli Orientali del Friuli DOC 2009 Pinot Bianco, Sauvignon, Malvasia,Friulano and Ribolla Gialla the grapes for this wine come from the vineyards of the Abbazia Di Rosazzo. The grapes are destemmed and left to cold macerate before they are soft crushed. Then the must is cleared by allowing it to settle. Fermentation takes place in stainless steel tanks with yeasts selected in Friuli. After 3 days, the wine is racked into oak casks where alcoholic and malolatic fermentation is completed. The wine is then aged in 5hl oak casks. This is a big, complex wine with rich fruit aromas and flavors and a slightly bitter finish.